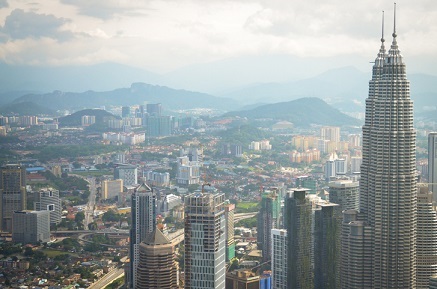 Malaysia’s general insurance sector could be in for a tough 12 months, burdened by deteriorating growth over the past few years, an industry body has said. According to the General Insurance Association of Malaysia (PIAM), the sector’s gross written premiums decreased by 0.1% in 2017, down to MYR17.65 billion (US$4.49 billion) from MYR17.67 billion in 2016. The premium growth rate has been dropping since 2014, when it registered 5.9% growth. In 2015, it dropped to 2.2%, and then down to 1.1% in 2016 before entering negative territory last year, reported the Malaysian Reserve. PIAM, which is composed of 21 insurers and five reinsurers, maintained mild optimism and set modest growth targets for 2018. Lee pointed out the deficiencies of the general insurance sector, with awareness being the largest issue. He said that while motor insurance is mandatory for all drivers, other general insurance sectors are performing poorly. He compared Malaysia, where less than 20% of travellers buy insurance, to its neighbouring market Singapore, which has over 70% of its travellers insured. While motor and fire insurance classes grew in 2017, these were offset by double-digit declines in marine, aviation, and transit (MAT) and personal accident insurance. On a more positive note, motor theft cases declined by 23% year-on-year, leading to fewer claims. From 20,005 cases in 2016, only 15,323 vehicles were reported stolen in 2017. PIAM said that it hopes to remedy the general insurance sector’s dire situation by improving its communication and awareness efforts to bring insurance closer to the public through campaigns and outreach programmes. It will also strengthen cooperation with major stakeholders to reduce road accidents nationwide.